I did my undergraduate course in Computer Science at University of São Paulo and then I moved to University of Campinas, where I obtained a MSc degree in Computer Science, working with cryptography under the supervision of professor Diego de Freitas Aranha. I am now doing my PhD in University of Luxembourg and my advisor is professor Jean-Sébastien Coron. My main research interests are Homomorphic Encryption, Multilinear Maps, and Indistinguishability Obfuscation. 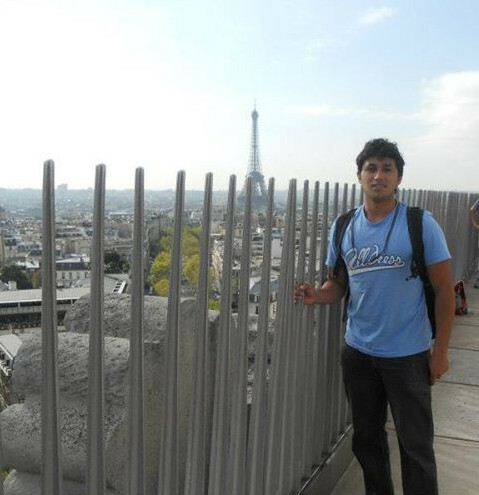 2012: Scholarship to study for a semester at Université de Franche-Comté, France, provided by the Rectory of University of São Paulo through the Program of Academic Merit Scholarships to International Exchange. 2010: Honorable mention given by the government of the State of São Paulo for works presented in the Third Technology Fair of Technical Schools of São Paulo. Reviewer of the 15th International Conference on Applied Cryptography and Network Security (ACNS2017).